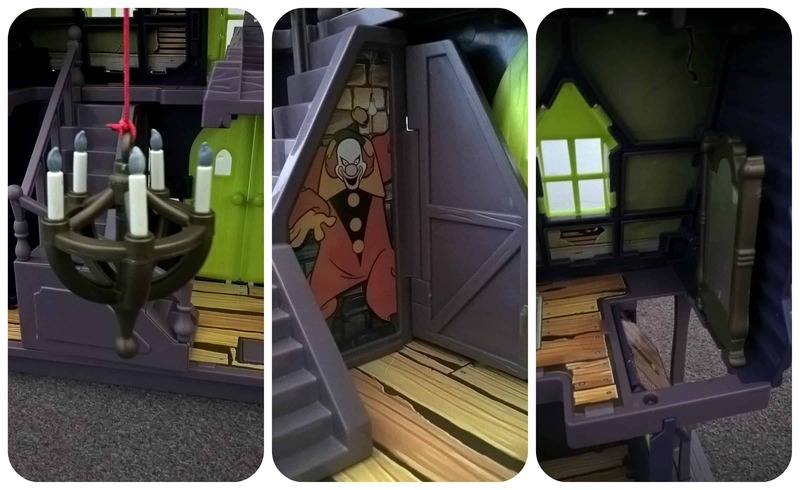 Both my children are huge Scooby Doo fans so I knew the Scooby Doo Mystery Mansion Playset from Character Toys would be a hit with them. 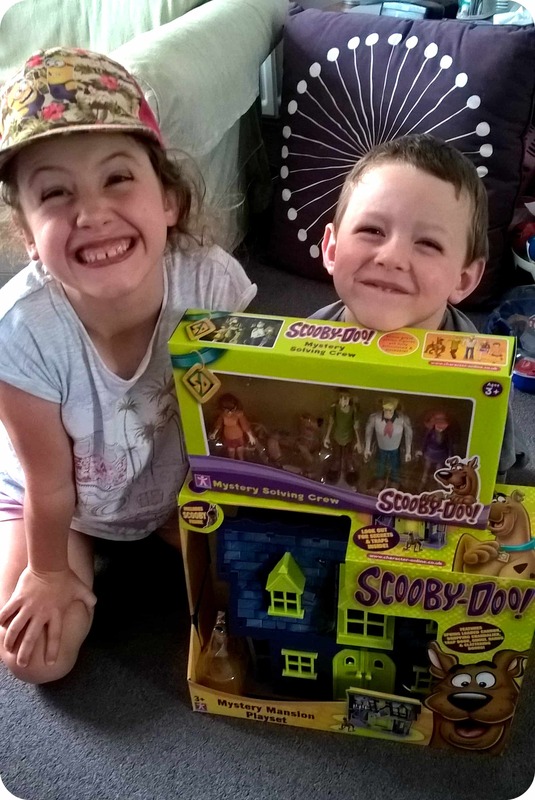 We also received a set of Scooby Doo figures which really brought their imagination to life as they created scenes they recall from the Scooby Doo tv series that they love to watch! 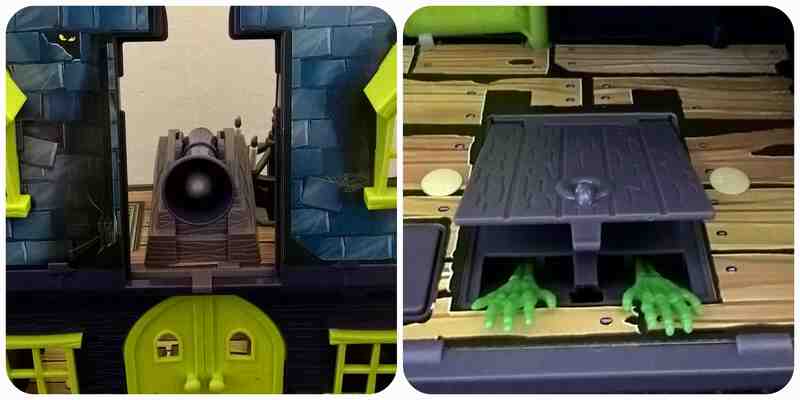 The Mystery Mansion is a double sided playset meaning there was plenty of room for them both to play together. The set comes with one Scooby Doo figure and we had another from the character set meaning they had one each to play with. The Mystery Mansion is just like a haunted house the Scooby Doo team would come across in the television series, and is full of all the traps and spooky features you would expect. The traps start as a person enters the mansion, as they stand on the steps the front door blows open with a clatter and bang immediately sending tingles down your spine. Once you step inside, if you stand on the wrong floorboard a trap door springs open and you can see two green ghoulish hands poking out. Beware of the chandelier as with a press of a button it can come crashing to the ground. As you go upstairs, one of the stairs triggers the understair cupboard to open with an unfriendly character lurking inside. Upstairs there is a full length mirror, but beware, stand too close and the floor will fall away beneath you and you’ll fall right down below! One of my little boy’s favourite features was the cannon which can be flipped around and fires out the middle window of the mansion. The window is easily removed and the cannon pointed at it’s target. The cannon really fires which really impressed Mister B and he had great fun aiming and trying to hit things with it. 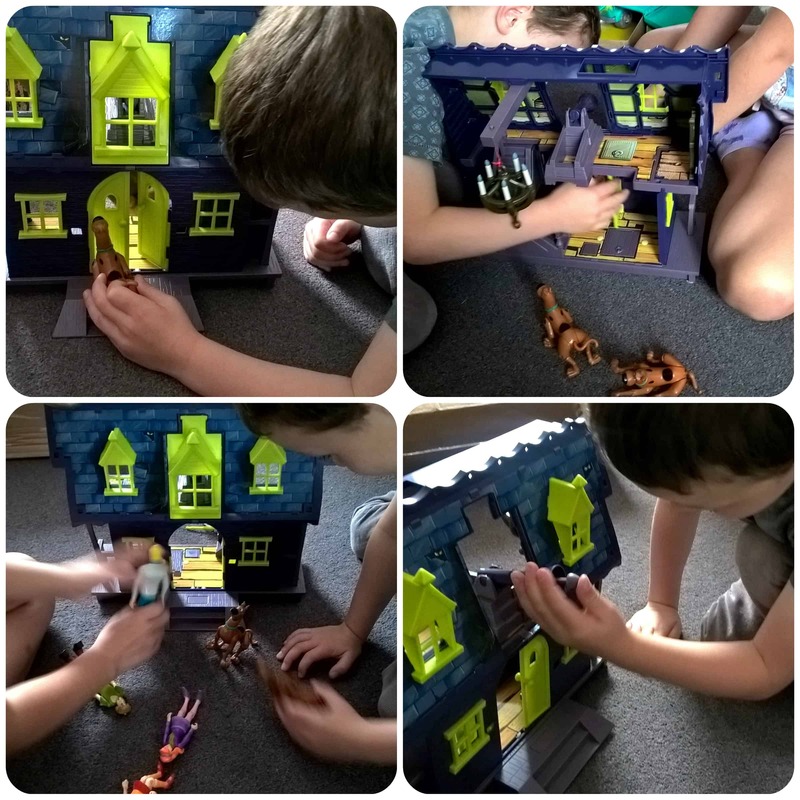 The Scooby Doo Mystery Mansion has sparked lots of imaginative play with my children particularly Mister B who has absolutely loved it. He plays with it everyday and never ceases to surprise me with his latest adventures. I love listening to him acting them out. The character pack of figures is a great addition to the mystery mansion especially if your child knows the characters from the tv series which mine did. 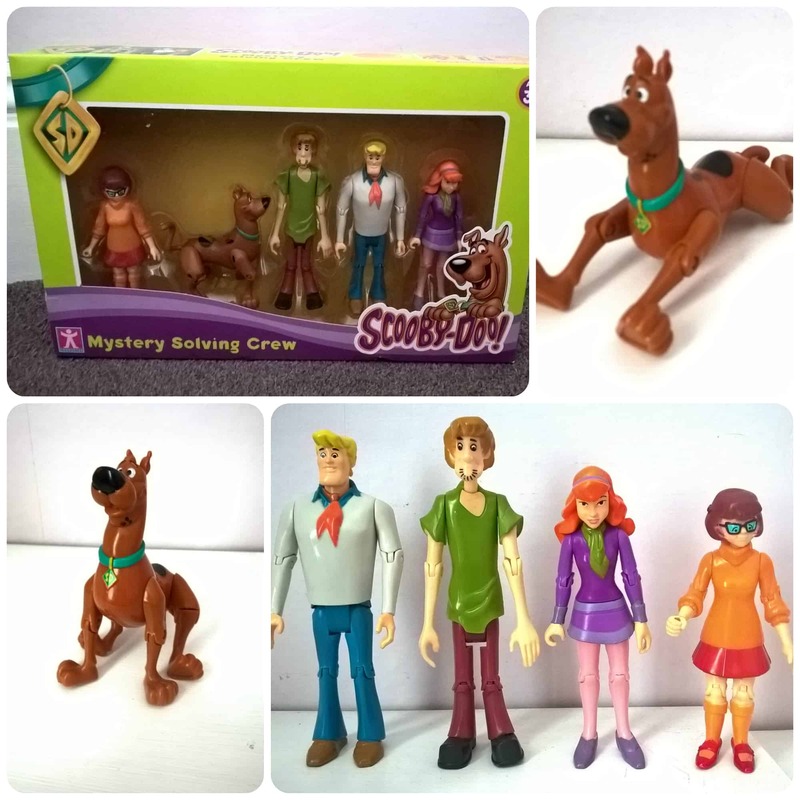 The set includes Scooby Doo, Shaggy, Fred, Daphne and Velma. All of them are a good size and very well made. They all stand up freely and have some moveable joints. My children had lots of fun with these and loved posing Scooby Doo in all sorts of positions with his very flexible legs! I love these Scooby Doo toys, they are good quality and the figures are built to last. I think the Mystery Mansion provides lots of entertainment value and is perfect for those that love to use their imagination. This would make a fantastic Christmas present for any young Scooby Doo fans! All reviews are my own and my honest opinions and I received the products in order to write the review. Scooby Doo is one of my children’s favourite programmes and something that I used to watch as child. It’s so nice to see it being enjoyed so many years later with the same enthusiastic viewing and excitement watching the latest adventure that Scooby Doo and the gang get up to int their mystery machine. So when the latest version of the mystery machine, Scooby Doo Trap Time Deluxe Mystery Machine from Character Options arrived to be tested out – their eyes lit up eager to open the box and get stuck in. 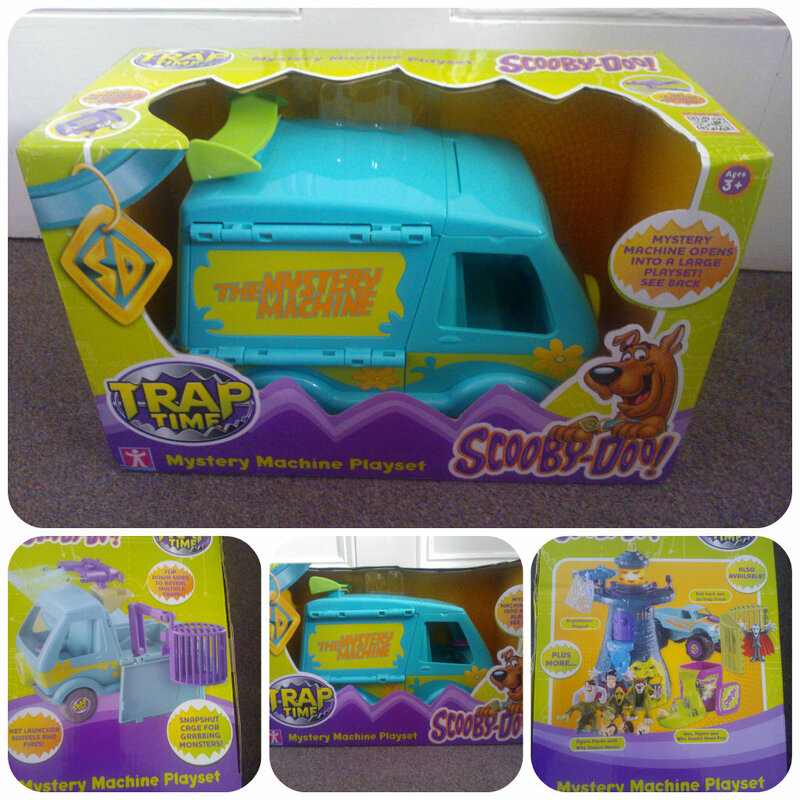 The Scooby Doo Time Trap Mystery Machine Playset can be played with as just a vehicle or opens out to reveal traps to catch the monsters. The top of the mystery machine unfolds along with both sides and the back which my two children loved unfolding. Inside is a cage on a folding arm that you can move around. The cage can be opened and closed to catch monsters inside. There is also a net with two posts that you can attach and press a button to eject and the net flies out to land on top of a monster. The first thing that both my children noticed and were a little disappointed at was that no figures are included with the mystery machine although they have now added this to their Christmas list to get some. Once I explained that the figures come separately, they soon began to play using some other figures we had at home and let their imaginations take them on adventures with the mystery machine. 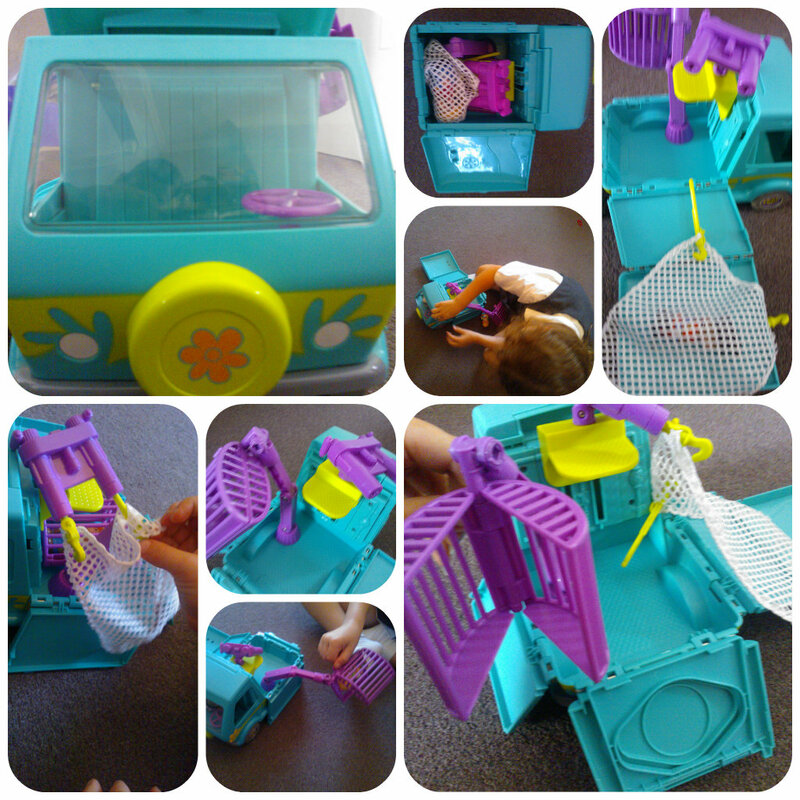 My children have had lots of fun playing with the Scooby Doo Time Trap playset, putting little figures in the front to drive the vehicle around, then opening up the back to catch the “baddies”. They have played with it together, one sitting each side and it has really encouraged their imagination and allowed them to be creative in their play. They love the fact it’s Scooby Doo and a vehicle they recognise from the programme. The Mystery Machine is a plastic vehicle although does seem quite robust in it’s build so should last the rough and tumble of little hands playing with it. I was a bit worried with all the hinges and doors to be opened but it looks like it has been designed to ensure they won’t easily break. I think this would be great value for any little Scooby Doo fan – a toy sure to inspire and be played with in various ways.